This. I came home to this. 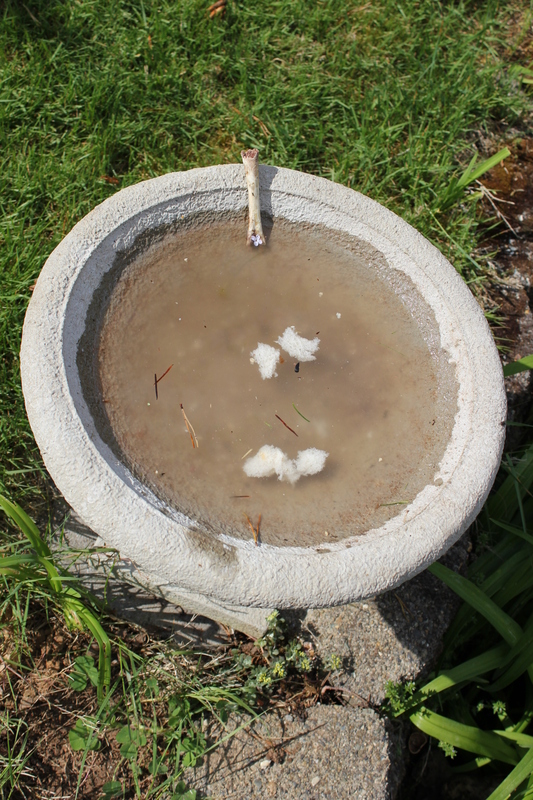 Bread floating in the bird feeder, murky water, and a chicken bone with the marrow pecked out. This. 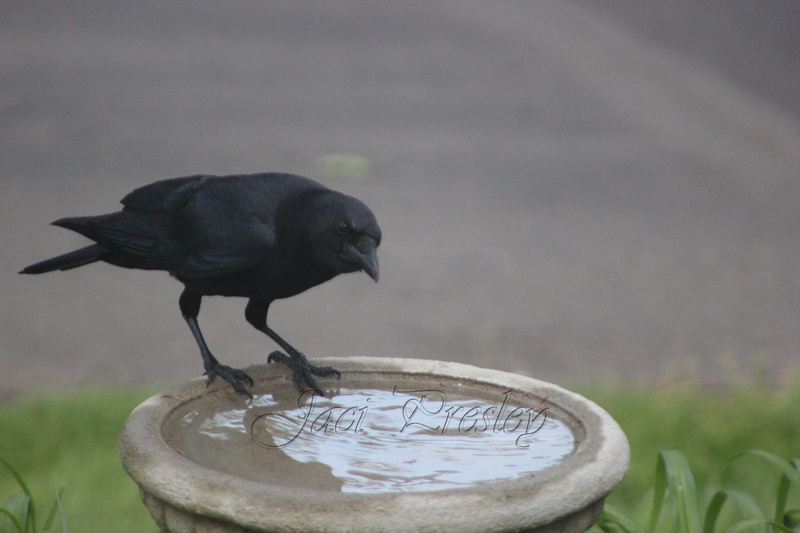 The culprit. But this is an After photo. I didn’t see it bring the chicken sandwich in. I just cleaned up after it. And a good thing I did, too. Mr. 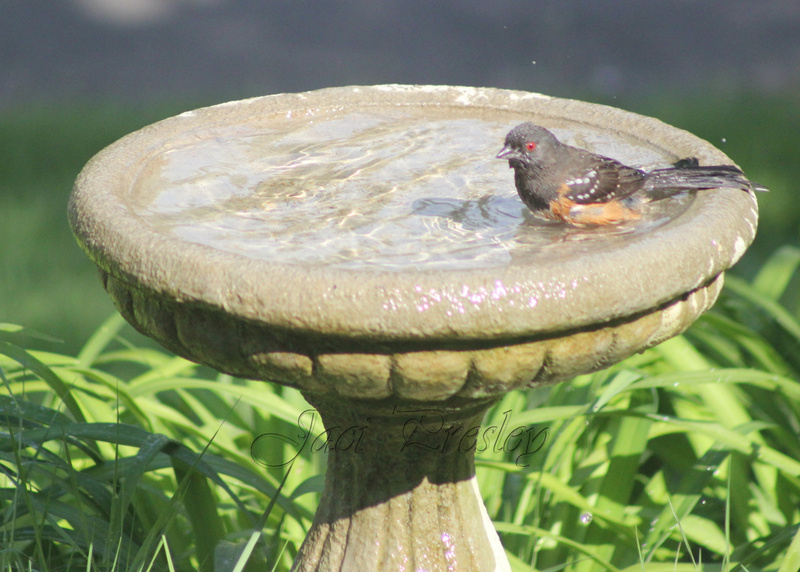 Spotted Towhee was waiting for a clean bath. 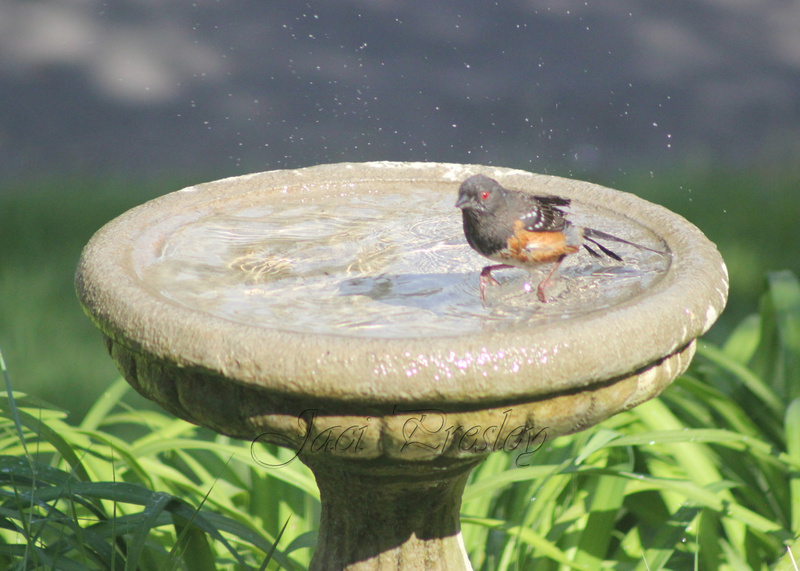 Mr. Towhee apparently walks on water. 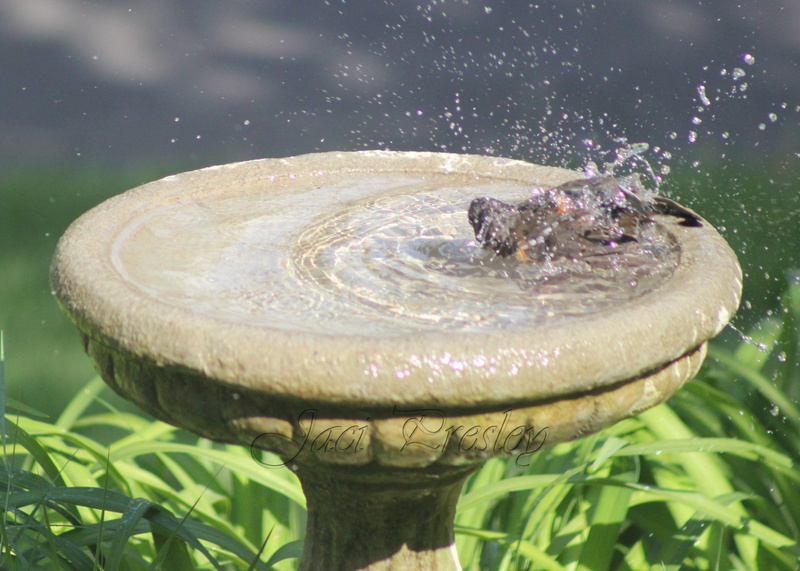 He also falls sideways into the water. He was sober. 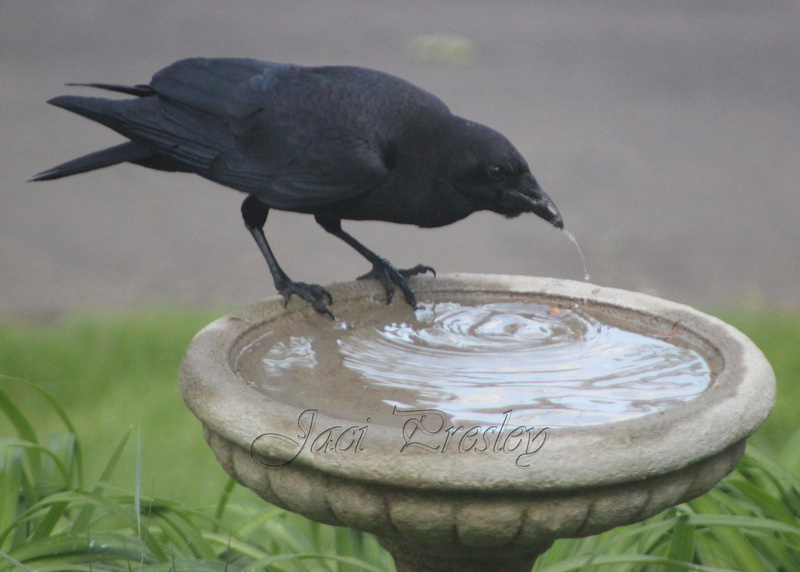 He got very, very wet. 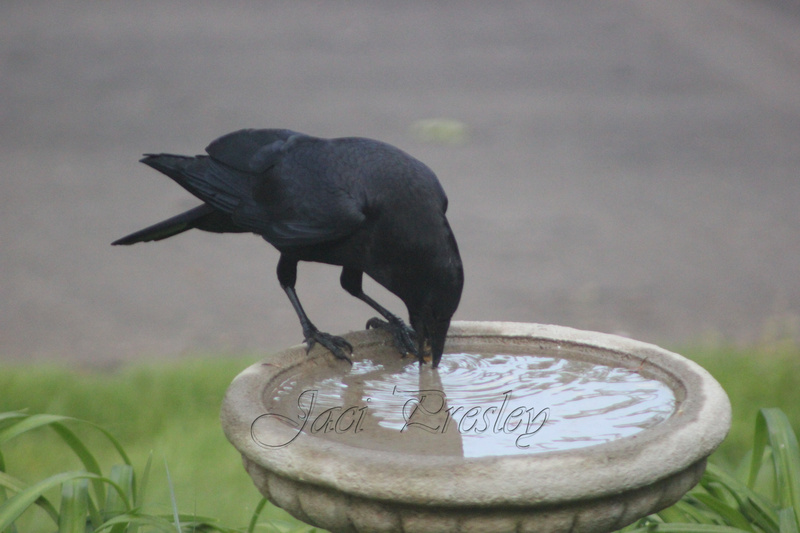 Then the crow came back with more food to wash. 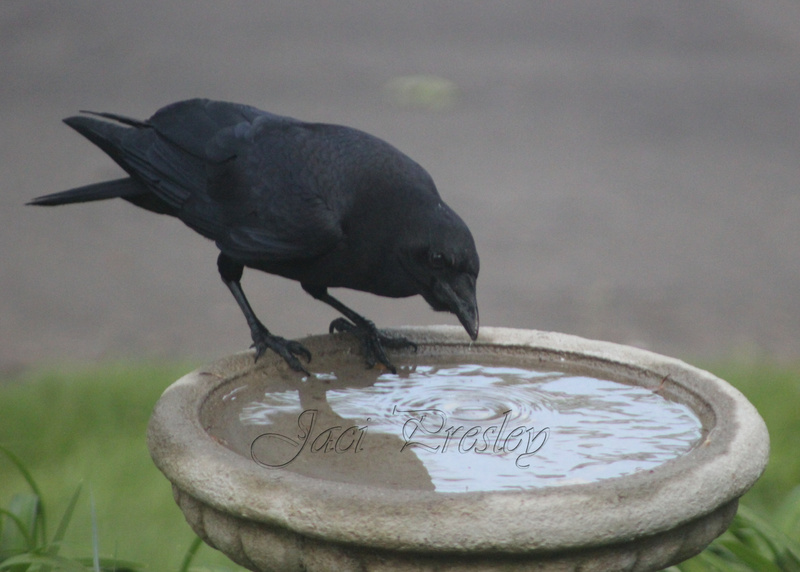 I get the “why” when the crow is washing off undigested almonds it found inside a dog turd. But if it’s going to carry the dog turd that far… couldn’t it just eat it out of my sight? 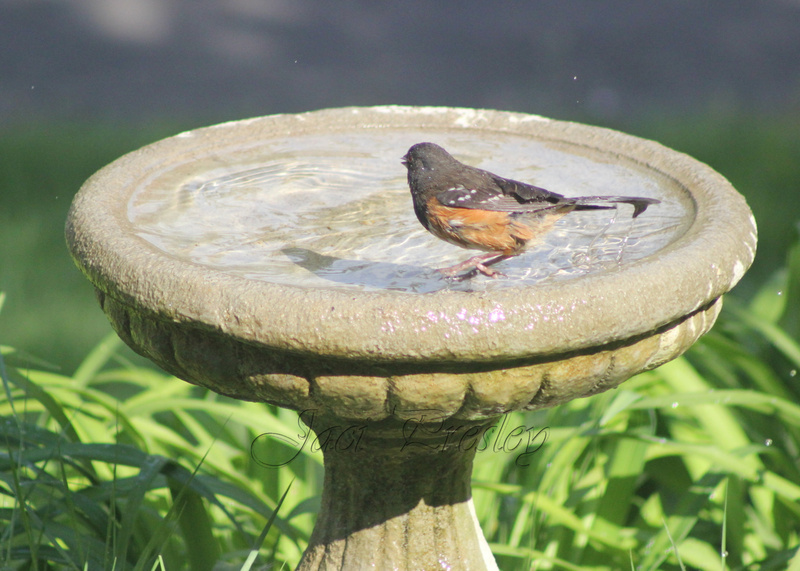 Leave the bird bath for other birds? And what was it with the chicken bone and the bread? 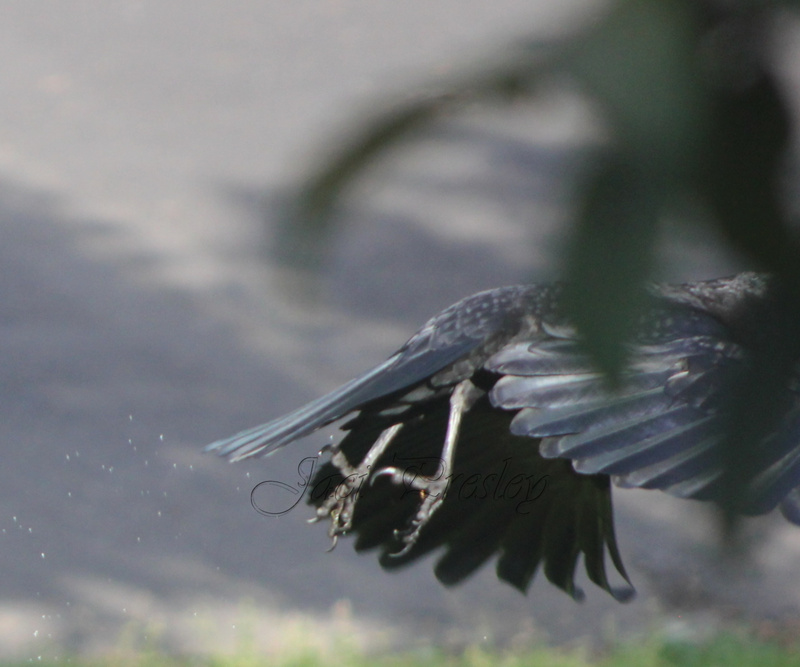 This has nothing to do with the post, I just thought it was a funny photo of a crow’s – well, er, um – bum.